Summer is here and that means it is carnival and fair season. One of my favorites foods to get at a fair has always been kettle corn. I love that it's still warm and has a sweet and salty crunch. I've always thought it was some magical thing that surely must be difficult to make (and, of course, require some sort of huge kettle hanging outside), but after some investigation, I discovered that it's quite simple to make at home. It's perfect for a summer movie night snack! This addictive treat will definitely become one of our favorite ways to enjoy popcorn at home now. This recipe makes enough for two people, so feel free to increase it for more people (but make sure you have a large kettle, or do it in a couple of batches). I used a large stainless steel soup pot. I read that you probably don't want to use cast iron because the sugar will get too hot and stick/burn. In a large soup pot, warm the oil along with three or four popcorn kernels over medium heat with the lid on. Keep a potholder on your hand and give the pot a shake every once in a while (note we made this on a gas stove, if using electric/glass top, life your pan when shaking). Once those kernels pop, stir in the sugar and 1/3 cup of popcorn. Return the lid to the pan and continue to give it a shake every 15 seconds or so to keep the sugar from burning. Once the popping stops, remove from the heat and add the salt. Give the popcorn a good stir and serve immediately (the melted sugar will be very hot). YUM! I love kettle corn! Who knew it was so simple? I'll be trying this for some long 4th of July weekend snacking! The perfect snack for just any occasion! I used the same method to make amaranth. Love your sweet and salty popcorn! Looking at the pretty pictures I can nearly smell the wonderful aroma of freshly made popcorn. Kettle corn is da bomb! I never tried to make it at home! This looks amazing! 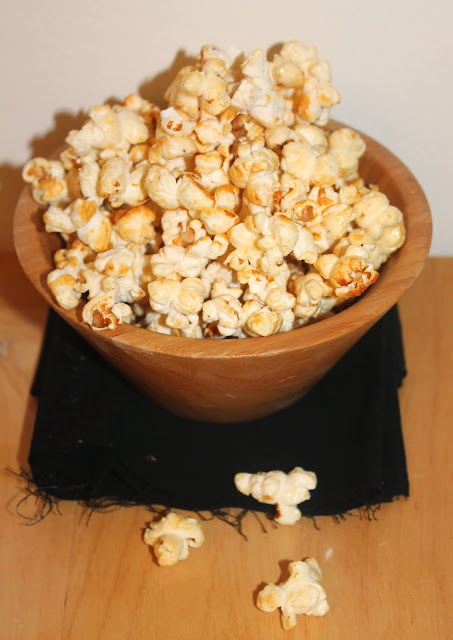 I made popcorn so similar to this recently but used maple syrup. Love making my own popcorn! I haven't had kettle corn in ages! And it's so good, isn't it? Terrific post -- thanks. Wow! you make this sound so simple, love kettle corn. We used to sit outside at night and watch movies and eat popcorn, but nothinh like this. Thanks! 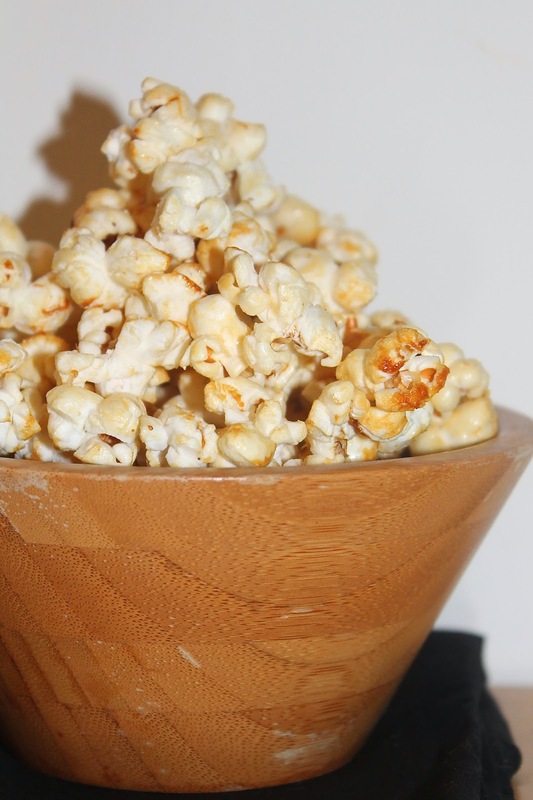 Homemade popcorn is quite addictive. My family consumes an obscene amount of popcorn... Yours look so good that I could eat the entire bowl and come for more. Hehe! These look and sound absolutely amazing! I love how kettle corn is a hint of sweet and salty. Great recipe! I often make kettle corn but I'll bet yours is better. I'm going to try your method next. My daughter and I have been watching lots of movies this summer and we always make popcorn. Next time I'm going to have to try adding sugar! Love kettle corn. A bit salty, a lot sweet. Yum! Amazing. I didn't know you could do that. Obviously when I think kettle corn I am visualizing BIG kettle corn. I love stovetop kettle corn...this remind me of my childhood. 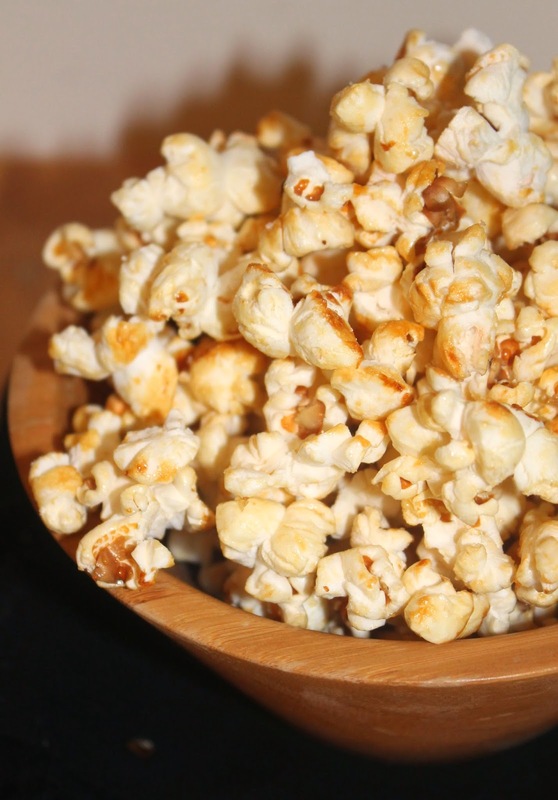 MMMMM - popcorn is a favorite snack of ours and this version looks really yummy! Thanks! The smell of kettlecorn is enough to slay me. Can't wait to try this! Popcorn is always a go to around here when we want a late night snack. I will have to try this kettle corn version. A few words of caution - I damaged my smooth cooktop by shaking the pan. It left scratch marks. I ended up buying a whirley pop pan with a stirrer and now I make kettle corn regularly. Also, never use your hands to remove it from the pan. It is wicked hot and can burn your fingers. Use a silicon spatula.